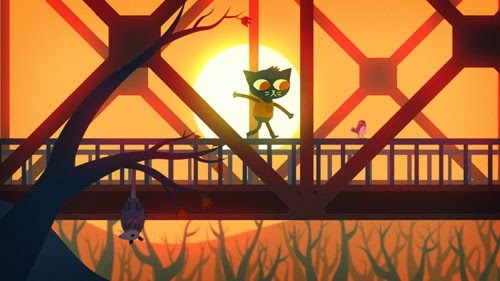 Alec Holowka, the developer behind Aquaria and Towerfall, is teaming up with animator Scott Benson to create Night in the Woods, a narrative-focused adventure game starring a number of colorful animal characters, including a cat with anger management issues and several of her friends, which include an alligator and a fox. You’ll be interacting with townsfolk in Possum Springs, uncovering the mysteries of the town after nightfall , running, jumping, occasionally astral projecting, solving puzzles, and eventually – of course – heading into the woods. Night in the Woods is now available for PC, Mac, and Linux via Steam, and PS4 via PSN.